Abraham had been justified by faith and God had cut the blood covenant with him. God had promised Abraham three things. Firstly, that he and Sarah would have a son of their own flesh even though they were both unable to have children. Secondly, God had promised Abraham that his descendants would be as numerous as the stars in the sky. 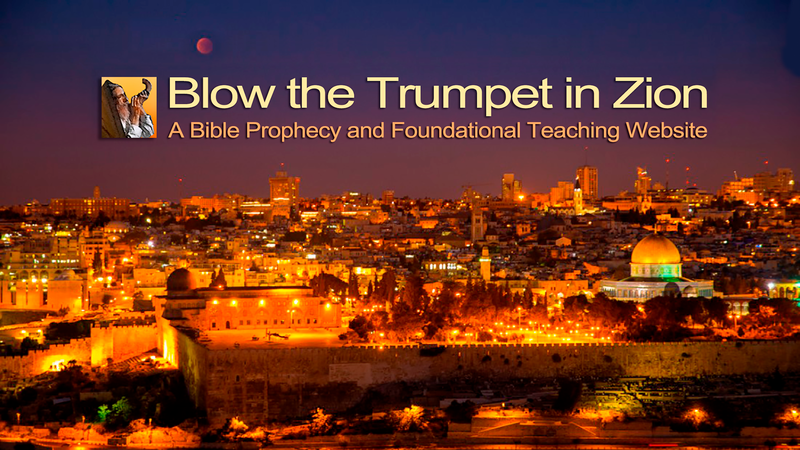 Thirdly, God had promised him and his descendants the land of Canaan (Israel) forever. Added to this Abraham’s faith had become rooted and grounded in God’s Word because of the blood covenant God had made with him. He must have been so elated and excited that he could not stop testifying all about having a son of his own flesh and blood and that through Sarah his wife. Now Sarah had received no such revelation at this point in time and most probably after listening to Abraham day after day walking and talking faith she decided to help God out. After being pressured by his wife Abraham yielded to her demands and slept with Hagar Sarah’s Egyptian maid servant as Sarah had requested. Now Hagar conceived Ishmael resulting in a falling out between the two women. God told Abraham that he would have a son through Sarah and yet Abraham pleaded with God that Ishmael might be the heir but God told him that the heir would come through Sarah. Abraham had made a huge mistake in fathering Ishmael with Hagar and even though we are told he kept on believing God for a son through Sarah, that God was not pleased with this whole scenario. The problem we have today between the Arabs and the Jews goes all the way back to what Abraham did when he acted in the flesh and not according to God’s plan. When Hagar gave birth to Ishmael Abraham was eighty-six years old. Once more the reality of that night years before when God cut the blood covenant with him came into sharp focus and his faith was renewed and his confidence in God cemented. Because of the permanency of the blood covenant his soul became anchored in hope. At this point Abraham became fully persuaded that God would do all that He said He would do. Also God changed his name. Up until this time he was known as Abram the Hebrew. When God called him Abraham phonetically in the Hebrew language his name was joined to God’s name. They were family! Because God’s covenant partner Abraham was willing to offer up his son on the altar of sacrifice then centuries later at the right time God was bound by covenant to offer up His Son on the sacrificial altar of the cross. Abraham’s physical descendent the Lord Jesus would defeat Satan at the cross. He would take back from Satan the authority he had stolen from Adam. Now that the Lord Jesus has died and been resurrected and ascended into heaven the devil cannot stop anyone from being born again and reconciled to God. If a person really wants to be saved there is nothing Satan can do about it. He may frustrate and hinder the process but not prevent it from happening. Why? Because he has been stripped of his power to keep men enslaved to sin and gripped by the fear of death. (Colossians 2:13-15) (Hebrews 2:14-15) As it is written; “The reason the Son of God was revealed that He might destroy the works of the devil.” (1 John 3:8) All sin is of the devil and the Son of God came to destroy its power in people’s lives but in order to do this God had to become a man in order to save men and this is precisely who the Lord Jesus was and still is today. God had to have an earth suit to live down here. The only way for this to happen was for God to enter into a blood covenant with a man of faith through whose descendants the Messiah would come into the world at the right time according to God’s calendar. God’s covenant promises in the Bible include deliverance from sin, sickness, poverty, demons and death and guarantee the resurrection from the dead. Some are healed and others are not. Some escape prison and survive persecution but others do not. Some of God’s choicest saints have been sick and died yet they have gone home full of faith and hope. (Hebrews 11: 32-40) (2 Kings 13:14) Many that have been martyred were not particularly happy to die but they died happy! In the New Testament the emphasis is placed more on spiritual blessing and healing rather than focused on the physical ones. Physical healings in the Bible always pointed to spiritual healing. Having said this at the rapture and resurrection of the saints there will be perfect healing and immortality for every dear saint of God. As for demons they must be expelled in the name of the Lord Jesus and sinners must be saved and delivered out of the devil’s clutches and all of these things are to be done in the name of the Lord Jesus because all power and authority has been placed in His name. (Philippians 2:9-11) Ultimately demons, sickness, poverty and the power of sin are subject to the name of the Lord Jesus. At the cross God treated the Lord Jesus as a sinner even though He was without sin so that He might treat us as His sons and daughters who by nature are sinners and great rebels in His sight. (Psalm 51:5) (Ephesians 2:3-5) Everything that can come against us to destroy our life of faith as believers has been rendered powerless by what Jesus did at the cross. These things include sickness, fear, poverty, demons, sin and the fear of death itself. Even if we physically die we will not be dead but very much alive! At the rapture and resurrection our healing and deliverance will be fully completed. Salvation, healing and deliverance from demonic power in every way have been provided for us at the cross. Spiritually speaking if you really want to be born again or baptised with the Holy Spirit or receive healing or deliverance there is nothing Satan can do to stop it happening. While there are reasons why not all are healed physically, as far as spiritual healing is concerned Satan cannot stop it from happening if you are as yet unsaved but really want to be saved. Your faith is the key to your freedom! As the author of Hebrews writes; “Now faith is the assurance of things hoped for, the conviction of things not seen…And without faith it is impossible to please Him, for he who comes to God must believe that He is and that He is a rewarder of those who seek Him.” (Hebrews 11:1, 6) It is not faith in faith itself but faith in God Himself being the object of that faith. If we have a revelation to our spirit of the reality of the blood covenant made with Abraham and his descendants and perfected in the blood of Jesus shed to establish the new covenant, then we can depend on God delivering what He has promised to do in his Word the Bible. God has sealed His Word in blood and it cannot be broken by God ever. We can find a promise that covers the situation we are facing and the need we have and stand on that Word and God is bound by the blood covenant to answer that request. If we are fully committed to God our covenant partner and to His Son the Lord Jesus unreservedly and unconditionally then we can receive whatever we ask for in His name. ((Matthew 18:19; 21:22) (Mark 11:24) (John 14:13; 15:7) Having said this it must be always in line with His will as revealed in His Word the Bible. When the Lord Jesus held up the cup and said to his disciples that this represented the new covenant they most probably could hardly believe what He was saying by this gesture. He was talking the blood covenant but not one made with animal’s blood but cut with his own blood. You see the only way you can enter into this new covenant relationship with God as your covenant partner is through trusting the Lord Jesus completely with your life. As your covenant partner He has shed His blood to honour His Word and the response He wants from you is to offer Him your whole life in return to do what He thinks is best to do with it according to what He has planned for you from the foundation of the world before you were born. God’s grace is His unmerited and unearned favour offered to you in the blood covenant. This covenant relationship begins the moment you repent of your sin, seek Gods cleansing and forgiveness through faith in Him and in His atoning blood and then by inviting Him to be your personal saviour and Lord and the master of your whole life and future. (Romans 3:21-26) (John 1:12-13) This is how you become a descendent of Abraham and inherit all that God has promised in His covenant agreement set out in the whole of the Bible. Spoken to the Glory of God! So then if you have made Jesus the Lord of your life then you are a descendent of Abraham through your faith and inherit the blessings of both covenants as Abraham did. God honoured the blessings of the blood covenant to Abraham and in perpetuity for the New Covenant to come hundreds of years later. He will do the same for us if we walk in the same faith that Abraham walked being our forefather of faith. (Romans 4:16-24) As it is also written; “If you belong to the Messiah, then you are Abraham’s seed and heirs according to the promise” (Galatians 3:29) Like Abraham God will call you His friend and treat you as His covenant partner. Abraham’s covenant was one of strong friendship and the disciples would have understood this concept when the Lord Jesus called them His friends. It was blood covenant talk! Our covenant as believers in the Lord Jesus is most certainly a covenant of strong friendship but more so a covenant of sonship. As a New Testament believer you are greater in the Kingdom of God than the greatest prophet that ever lived. As the Lord Jesus himself said; “For I say unto you, Among those who are born of women there is not a greater prophet than John the Baptist; But he that is least in the Kingdom of God is greater than he.”(John 7:28) John was a friend of God and under the covenant of Abraham but in the New Covenant we are sons and daughters of the Living God. We are family!